Now we know why Hangouts has been so slow to add new features to its mobile apps over the years. 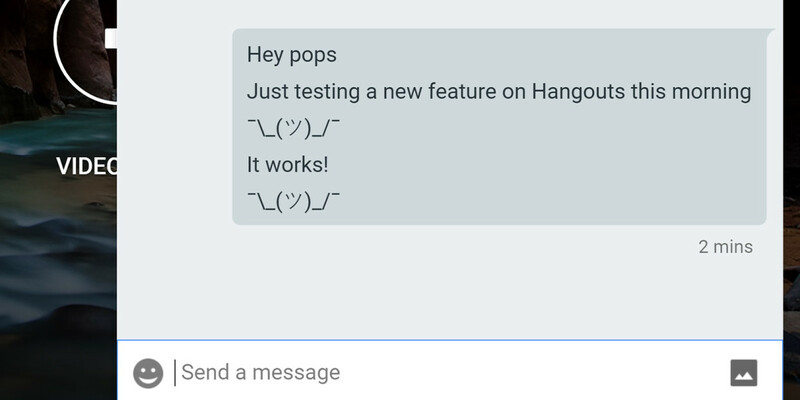 Just type in /shruggie on Android (it’s been available on the Web since January) and Hangouts will automagically convert your text to arguably the most magnificent emoticon of all time. You could, for instance, share this article with your friends, and follow it up with the emoticon to show your indifference towards the news – and indeed, the world. The update comes as a bit of a surprise, given Google will presumably see a large dip in traffic when users no longer turn to its search engine to copy and past the emoticon. Kudos to Google for putting its users’ needs first. Here’s to hoping it carries over to Allo.